OpenGov’s Singapore Leadership Forum was held on 12 May 2016 at the Grand Hyatt Singapore. With over 200 local delegates and speakers from the United States, Europe, Australia and Singapore, the Leadership Forum is certainly a platform to talk, share and learn. Mr. Mohit Sagar, Group Managing Director & Editor in Chief of OpenGov Asia opened the forum by discussing Digital Transformation. He surmises that Digital Transformation is not actually about the technology – it is about the people and the outcomes. ‘As leaders of government, we need to understand how our people use technology but, more importantly, we need to understand what our agencies are trying to achieve. We now live in an era of digital Darwinism, where technology changes constantly. Our people – all use new technology in their private lives – understand and embraces new technology very quickly and as soon as it comes on the market. However, our agencies are lagging behind – in some cases, years behind. And while we need to transform digitally within our agencies, we need to choose our technology carefully, as our people are increasingly changed fatigued. As government agencies, we make changes to our technology regularly – and we absolutely need to do this. The problem is that while we change the technology, we do not place enough emphasis on the people or on the outcome and this results in not enough adoption. Therefore, when the next trance of technology comes along, people are tired of the constant ‘change’ and refuses to embrace these improvements even further. This affects the value proposition and the return on our investment. What we need to strive for, is an evergreen state – where technology changes are seamless. This means that rather than doing the annual ‘update’ or ‘upgrade’ to our systems (and therefore risk downtime), our technology changes seamlessly, moves with the times and the latest available. As government agencies we need to make decisions about what we are investing in and what are we using the technology for. We need to understand what do we have today and what do we need for the future. Rather than accepting the status quo, we need to question what has changed in our agencies; our policies; our practices – and make decisions regarding new technology based on these needs. We can either be observers or changers. Investment dollars in government budgets are finite. Therefore, we need to value every step of our technology journey and ensure that our investments are justifiable. As government officials, are you asking these questions? Keynote presentation by none other than the Mr. Chan Cheow Hoe, Government Chief Information Officer (CIO), Assistant Chief Executive, Government Chief Information Office, Infocomm Development Authority who continued the talk about the unfolding journey on Digital Transformation in Singapore. He talked with passion about ‘A vision to create a better living, more opportunities and stronger communities by harnessing technology. In our current digital world, users want information now. The advert of smart-phones has delivered a culture where we demand information or services wherever we are and whenever we want. Have 15 minutes spare? – we are likely to be on social media connecting with friends and family. Planning to travel? – we use travel apps to plan and book. Sitting chatting with friends listening to music? – someone may want to know more about the song or the artist and we search. This digital age has made the here and now all about the individual – and just as individuals demand information and services from the private sector, so too they demand it from government. Government is now obliged to provide services in the way our citizens want to receive them. Long gone are the days of waiting until 9:00 am Monday morning, travelling to a government office, getting in a queue and waiting to be served. Delegates attending the Leadership Forum overwhelming agreed that digital transformation and the need for government to connect better was very important. And while citizens are demanding this from us, government can use this digital age to gather information and get insights from its citizens. Not only can government meet the demands of citizens, we can ‘push’ services that we know our citizen’s needs. Just had a baby? – government could ‘push’ to the parents the ability to register the baby’s birth and receive a birth certificate. Passport expiring? – government could remind the citizen of the expiring passport and enable an online renewal process. As government officials and citizens, we can identify moments of time when citizens need government services and build services around these. So, while delegates agreed that digitally transforming our service delivery mechanisms, they discussed a number of challenges faced by government. Two significant challenges discussed where that change takes too long in government, and we lack skilled resources to deliver this change. These are not new challenges unfortunately. Other challenges discussed were that our legislative base need amending before we can introduce new ways; and, as government agencies, we need to ensure that the confidentiality of citizen’s information is protected at all times. We cannot sit back and do nothing because we are faced by challenges. As leaders of government, we need to work within the constraints placed on us and determine a path forward. As I mentioned above, this is not an option – we are obliged to serve our citizens. 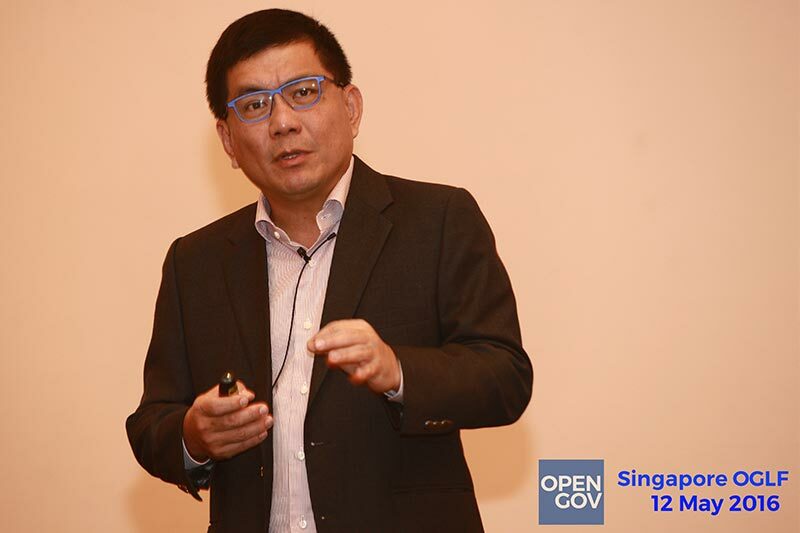 The 2016 OpenGov Leadership forum in Singapore was an opportunity for Singaporean government officials, ICT vendors and invited overseas guest to discuss the latest progression in technology. Surprisingly, the overwhelmingly consistent message is that technology solutions are not just about the technology itself – it’s actually about people. Delegates attending the forum heard from a number of local and international speakers and spent time in discussion tables conversing about different technology subjects. Listening to the conversations and the presentations I was surprised at how often the ‘people’ aspect was mentioned. In years gone by, technology ‘events’ such as these would focus on the latest solutions – from full Enterprise Resource Management solutions, to cloud-based solutions, to software as a service. It seemed, back then, that technology could help us change everything. This year, the discussion focussed on technology as an enabler and that the priority was people – how people use technology, what they need to use it for, how can it benefit their quality of life. Cat Matson, the Chief Digital Officer for the City of Brisbane discussed enabling technology to enhance the existing liveability of Brisbane. She has a number of foundational building blocks to her program and none of them are a technology platform. Instead, she is focussed on capability; innovation; engagement and collaboration. She wants to know ‘what’s the best way to solve this problem’. Paul Bartley from the Program Support Centre in the US, discussed his priority of understanding his customer’s needs and the drive behind the need, before designing a solution. Brian Heatherich from Lockheed Martin, discussed workplaces as a service – understanding how employees need and want to work and using technology to enable this. And rather than government agencies just adopting big data because the private sector are, agencies are now asking what questions do they really need answered? These discussions are really positive. It is great to hear conversations about people – what people want from government and how do we deliver this through a technology-enabled solution. By asking these questions, we can deliver good solutions and invest government funding in a more directly beneficial and relevant way. I would encourage these discussions to continue – by putting our citizens first we can only be ‘better’ governments.